You don’t know what you don’t know until you know you don’t know it . . . that’s when you wish you would have known better. Have you ever considered using parody to poke fun at your competition with a comedic version of their ads? Has anyone ever created a “rip off” version of your website that could tarnish your good name? Did you know that these copycat ads and websites can do more than damage the reputation of the business being copied? It could also be illegal. Last week was the final episode of Psych, a TV show about Shawn, a 30-something with keen observational skills, who pretends to be psychic crime consultant, with his childhood best friend, Gus. The show was known for its witty humor, constant references to 1980-90’s pop culture, and a hidden pineapple in every episode. Psych has had so many parody episodes that there’s a top ten list of fan favorites. My favorite, (which also happens to be the #1 on the list) is Dual Spires – an unbelievably detailed homage to Twin Peaks, which is celebrating its fictional 25th anniversary and actual the 24th anniversary on April 8th! 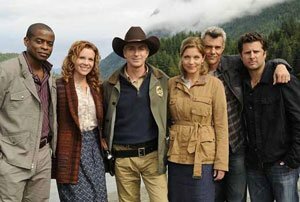 The allusions in the Psych parody are too numerous to recount and the episode included many members of the original Twin Peaks cast. I loved the opening scene with its winks to chocolate bunnies and silent drape runners; the stacks of donuts in the police station; and the music in the end credits—truly a magnificent parody. In fact, CNN’s Katie McLaughlin had “fun picking out the Twin Peaks references (it was like doing the “What’s Wrong?” on the back of a “Highlights” magazine).” Click here to read a list of Twin Peaks references in the episode. When is a parody legal? “A parody is defined as a simple form of entertainment conveyed by juxtaposing the irreverent representation of the trademark with the idealized image created by the mark’s owner.” Are your eyes crossed yet? That simply means a parody is a comedic imitation of well-known work (or sometimes a trademark). A parody is actually a written exception to the statutory laws that prohibit trademark infringement and some forms of false advertising. While a person may own the rights to a song, poem, or another written work, those rights are balanced with our Constitutional right to free speech and freedom of expression. Usually, the law allows extensive use of the original, well-known work is allowed to “conjure up” the original. For example, in the Dual Spires episode, the “Psych” theme song is sung by Julee Cruise (of “Peaks” fame) and is almost a shot-for shot recreation of the “Twin Peaks” theme. That’s okay in the law, because it does not “dilute” the value of Twin Peaks itself. “A parody must convey a simultaneous and contradictory message that it is the original, but also that it is not the original and is instead a parody; to the extent that an alleged parody conveys only the first message, it is not only a poor parody but also vulnerable under trademark law, since the customer will be confused. While a parody necessarily must engender some initial confusion, an effective parody will diminish the risk of consumer confusion by conveying only just enough of the original design to allow the consumer to appreciate the point of parody.” Seriously, I promise I’m not trying to make your eyes go crossed. These are quotes from an actual case. That just means the public, i.e., the customer, has to know the parody is simply that: a parody. If a customer is confused that the parody is the actually real deal, then not only is the parody is an epic fail, but it’s also potentially illegal! An example of illegal parody Psych is an example of good (and legal) parody. Let’s take a look at a bad (illegal) parody. This case involves PETA a/k/a People for the Ethical Treatment of Animals, which is dedicated to promoting and heightening public awareness of animal protection issues and opposes the exploitation of animals for food, clothing, entertainment and vivisection. PETA sued Michael Doughney, who registered the domain name peta.org and created a website called “People Eating Tasty Animals.” He claimed peta.org was a parody of PETA. A viewer on peta.org would see a statement that the website was a “resource for those who enjoy eating meat, wearing fur and leather, hunting, and the fruits of scientific research.” The website contained links to various meat, fur, leather, hunting, animal research, and other organizations, all of which held views generally antithetical to PETA’s views. Another statement on the website asked the viewer whether he/she was “Feeling lost? Offended? Perhaps you should, like, exit immediately.” The phrase “exit immediately ” contained a hyperlink to PETA’s official website. In response to Doughney’s domain name dispute with PETA, Doughney told the media that “[i]f they [PETA] want one of my domains, they should make me an offer.” The court found that, looking at Doughney’s domain name alone, there is no suggestion of a parody. The domain name peta.org simply copied PETA’s Mark, conveying the message that it is related to PETA. The domain name did not convey the second, contradictory message needed to establish a parody—a message that the domain name was not related to PETA, but that it is a parody of PETA. Doughney claimed the second message in the content of his website made it clear that it was not related to PETA. However, this second message was not conveyed simultaneously with the first message, as required to be considered a parody. An internet user would not realize that they were not on an official PETA web site until after they had used PETA’s Mark to access the web page ‘www.peta.org.’ The court further found that prospective users of the real PETA who mistakenly access Doughney’s site may fail to continue to search for the real PETA website due to confusion or frustration. And, the hyperlinks on Doughney’s site would directly link the user to news in direct competition with PETA. 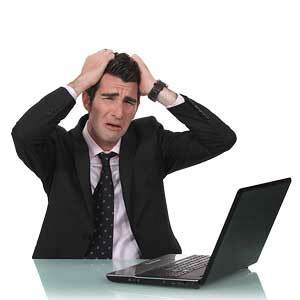 Doughney was found responsible for trademark infringement, unfair competition and cybersquatting. Obviously, his website was taken down. Have you ever had a competitor build a site to rip off your good name? Did you (or someone you know) stumble across a site that looks like it’s trying to confuse your audience or damage your reputation? If so, you could be a victim of cybersquatting or an illegal parody. The good news is that you don’t have to pretend it’s funny when it’s not. There are legal remedies to help you. Contact me to find out what you can do.